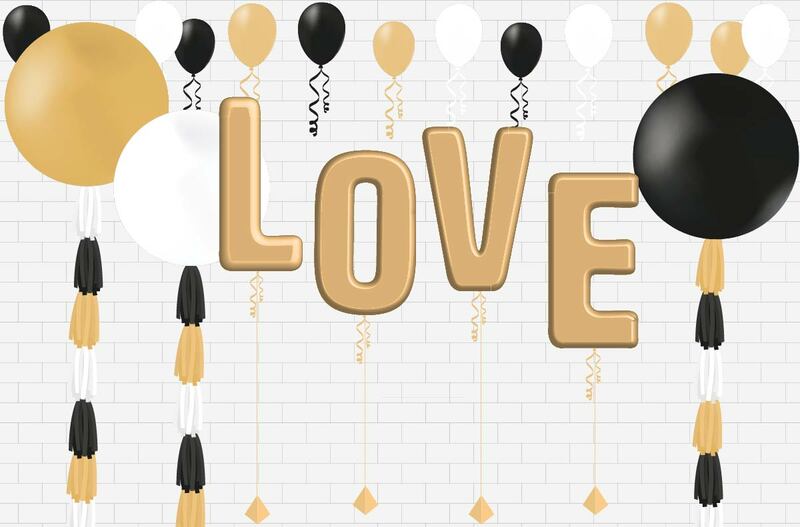 XL 3ft foil helium balloons “MARRY ME” in silver or gold. Customise your own message each additional letter £8.50 per balloon. For heart shaped scattering of rose petals, perfect for getting down on one knee please contact us for more information. For a shades of red ribbon backdrop to be added to your balloons please contact us for more information. Celebrate your engagement with a box of cupcakes personalised with the date, names and any hobbies/interests to surprise your other half. See our valentines day cupcakes for inspiration. 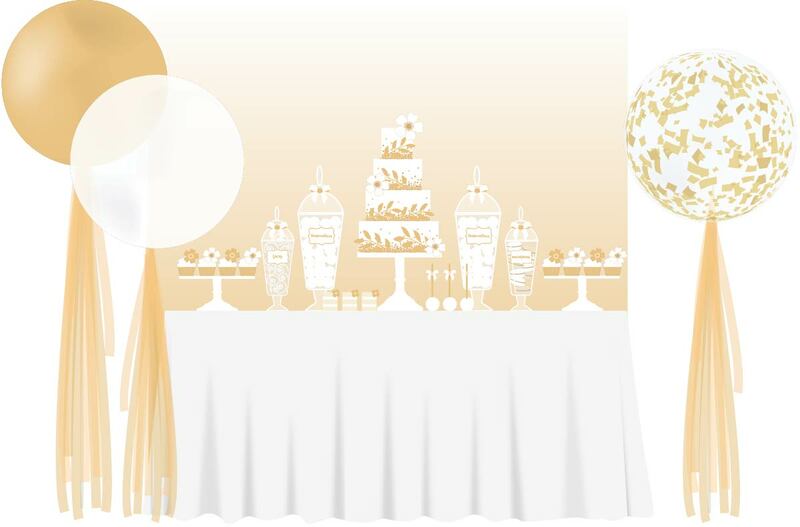 6ft Table decorated with tablecloth and runner to match your event. 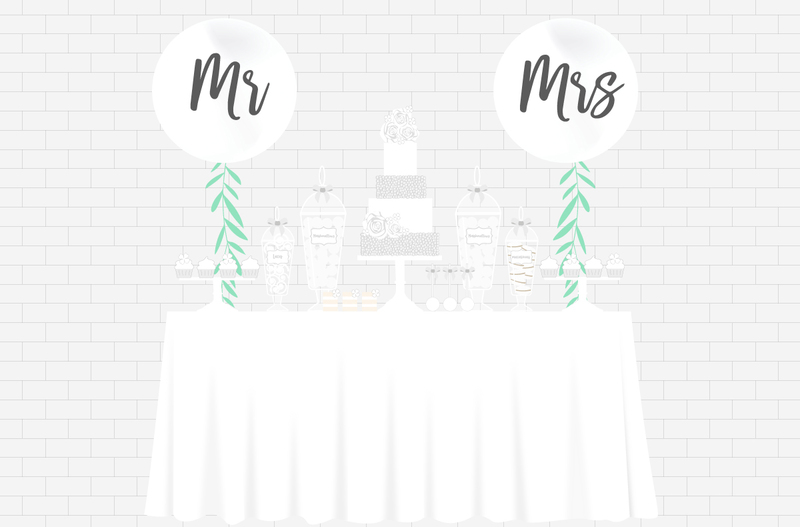 X2 Giant round balloons with custom design and foliage tail. Personalised cupcakes and cake pops. View our cupcake gallery for inspiration. Surprise your guests with an end of night treat personalised milk and cookies to take home. See our range of favours. Check out our alternative wedding cakes and table centres. If your not a fan of the traditional wedding cake why not opt for a funky tiered doughnut wedding cake. finished with fresh flowers on a decorative wedding stand! Our cupcake bouquets make great alternative table centres, customised you match your wedding colours. 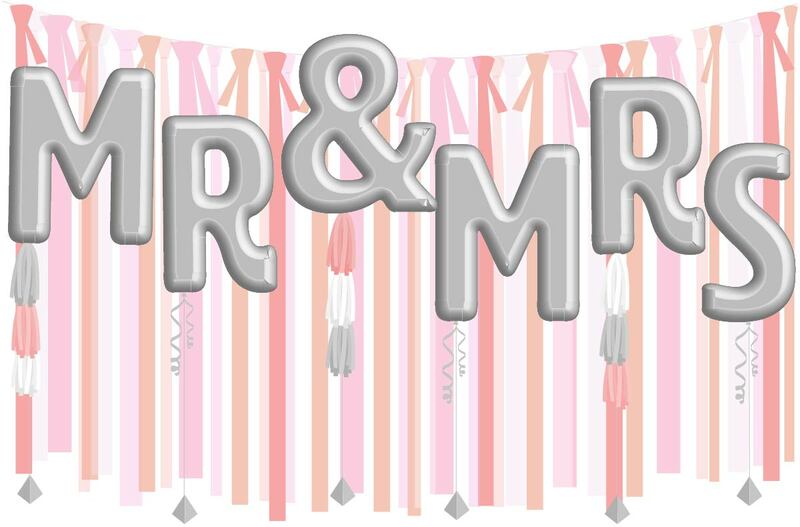 XL 3ft Foil “MR & MRS” balloons with alternating handmade tassel tails. 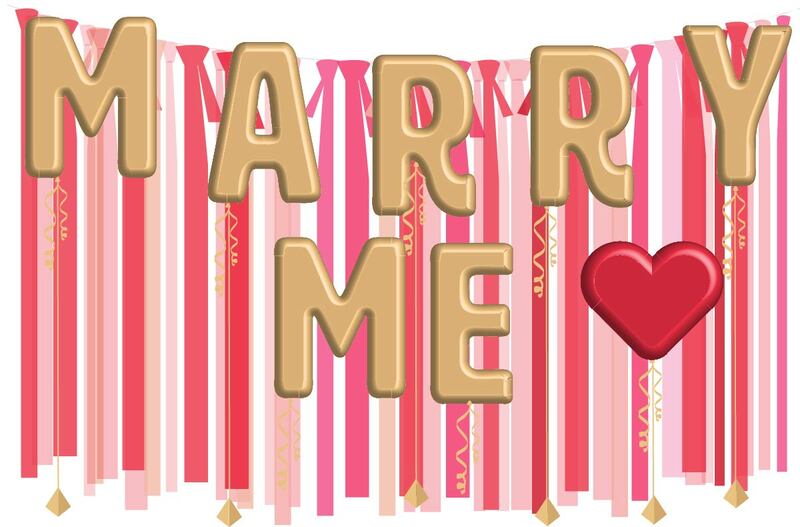 For a ribbon backdrop to be added to your balloons please contact us.